Cidade Maravilhosa! Rio, a powerful city in the largest country in Latin America. 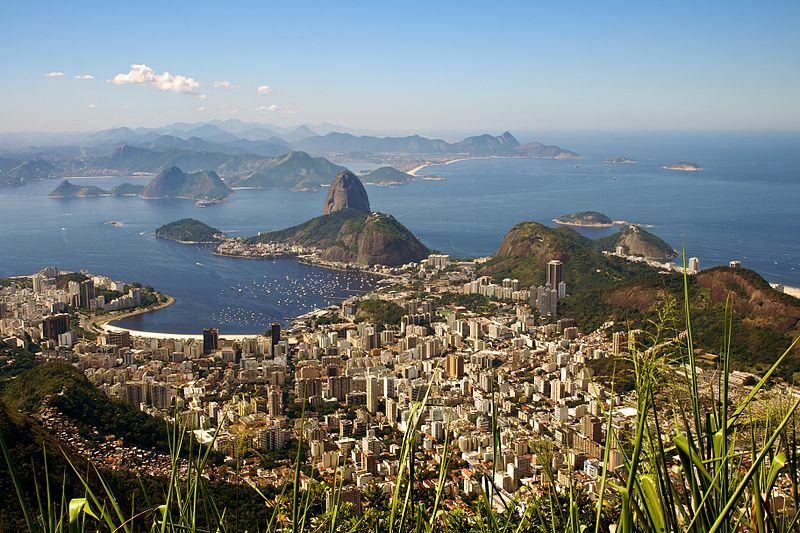 The city of the Samba and the Corcovado, a symbol of celebration but also of violence. Here the extremes mingle. Here the citizens are as warm as the generous weather despite poverty and everyday insecurities. However this should not stop you ; on the contrary, Rio is a destination that will make you feel intense emotions you will never forget! Rio offers all types of accommodations at a very low price. From hostels to hotels to apartments for rent, you will easily find a comfortable place to rest your head on websites like hostelworld.com or booking.com. Please note that Hostellings International locations are plentiful in Latin America. If you plan to tour the country or the continent, they have a loyalty card and can offer discounts. Rio is a dangerous city. Go simply and slightly. Avoid carrying valuables, jewelry, a smartphone or big cameras. Always have some money on you in case you get robbed. Know that this can happen to you anywhere, at any time, but if you have something to give, nothing will happen to you. This is common to tourists and cariocas themselves, so do not panic if this happens to you but do your best to try to avoid it. However, let this not hinder you, it’s still a city filled with lovely people waiting for you there. Corcovado & Cristo Redentor, Santa Téresa, O Bondinho, Arcos de Lapa, Escadaria Selarón. The emblematic symbol of Rio and Brazil, the Corcovado and its Cristo Redentor impose themselves on the city at more than 700m of altitude. Drawn by the French sculptor Paul Landowski, we felt the impression that he was watching over us! From the top of the Corcovado you can admire a panoramic view of all of Rio with the Pão de Açucar (Sugar Loaf), the beaches of Copacabana and Ipanema, the Rodrigo de Freitas lake and all the city center. Choose a GOOD weather day, not to be surprised by clouds that could spoil your view! Is it a MUST DO in Rio, of course. 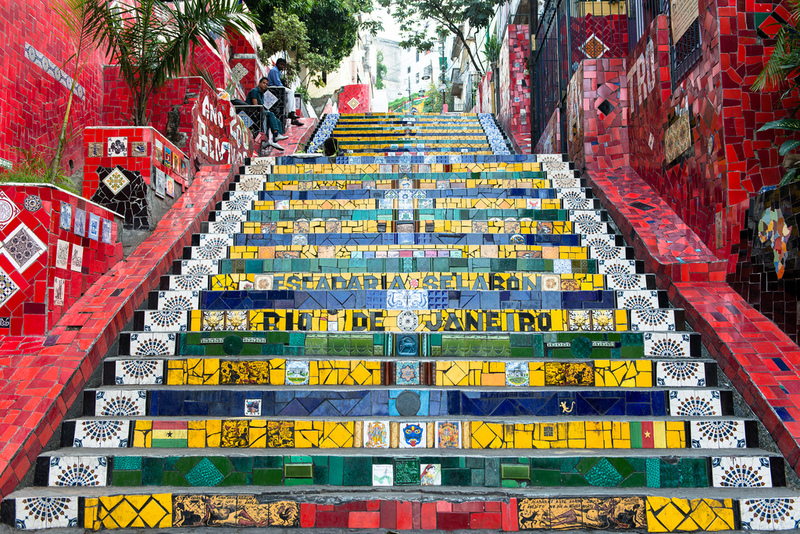 In Santa Teresa, a lively neighborhood in the hills above Rio, enjoy a feijoada, a typical dish of the country in the many bars and restaurants, while discovering the friendly little houses and street art on every corner. The atmosphere differs day to night, therefore I recommend going back there during your stay. You will see, on your way to the "Bondinho", a small old tram linking Santa Teresa to the Lapa district via the arcos (aqueduct). Two options: take a seat at the start of the tram or get it on its way by hanging on the sides and they let you carry on. More fun but more risky so hang on tight when the tram runs over the arcs of Lapa ; proceed with caution. 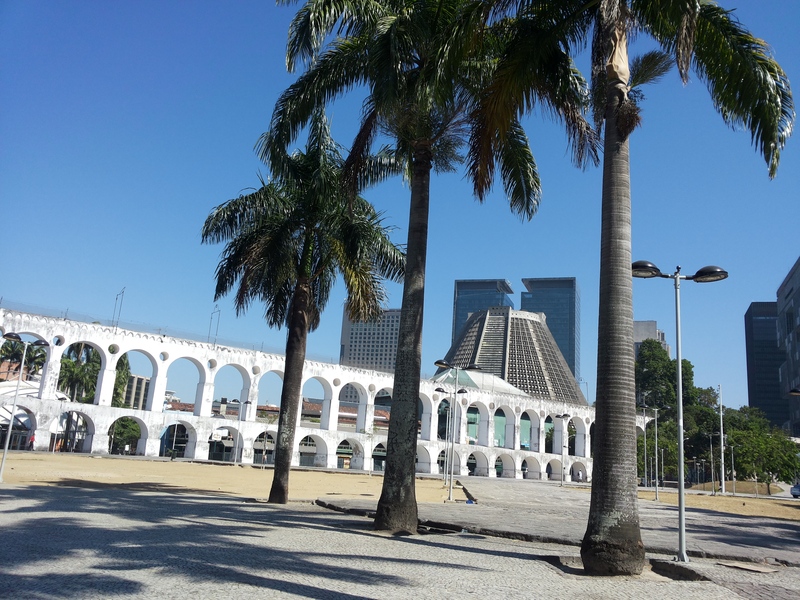 Arriving at the station, retrace your steps towards the Arcos de Lapa and its huge square. This rather quiet place during the day, becomes a huge club in the open sky on Friday and Saturday evenings. Small bars with improvised sound systems are organized all night to party and fill this huge space and adjacent small streets. Even the gas station becomes a dance floor ! In one of the small streets not far, you will find the famous Escadaria Selarón made by a Chilean artist of the same name, who died in 2013. By taxi, go to the Mosteiro de Sao Bento, a UNESCO World Heritage Site dating back to 1590 and founded by two monks from Bahia and considered a most important patrimony of Brazilian architecture. The Museu historico nacional, located near the Praça João Paulo, is worth a detour to learn more about the history of the country and its invaluable collection of art and history. Pão de Açucar - Copacabana, Ipanema - Jardim Botánico. An unmissable destination in Rio is the Sugar Loaf (Pão de Açucar) which offers an incredible view of all around Rio. 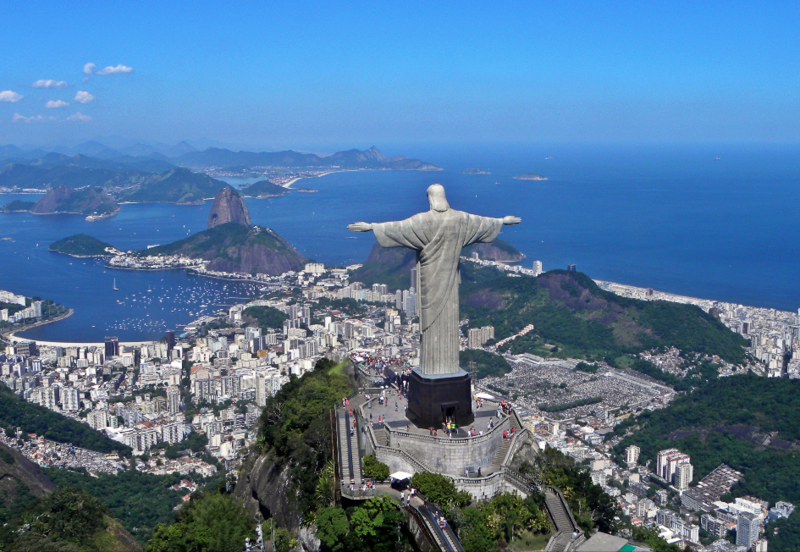 This time, the view is from the outside the city and perhaps even more impressive than the Corcovado by its retreat. A few minutes ride on a cable car connects Morro da Babilônia to Morro da Urca and then the Sugar Loaf where you can walk and admire a view of Niteroi, a city facing Rio. I preferred the sunset time to capture a magical picture. The mythical beaches of Copacabana and Ipanema are just a short bus ride away. Here, the cariocas meet after classes or work to finish their day. Futebol session and swimming on the agenda. You will also find many sellers who will tackle you with fresh juices, coconut water and acai smoothies, red fruits of the country, to savor so much the taste is "poderoso" (powerful). The Fort Copacabana at the end of the beach will reveal a little more about the history of the city with a very well presented museum. Between two beaches sessions, pass by the botanical gardens, which is one of the most beautiful gardens in the world. You will discover plants never seen before, coming from different countries and continents. A quiet and captivating place for lovers of nature as for the simple and curious too. No more jokes. A world in a world. 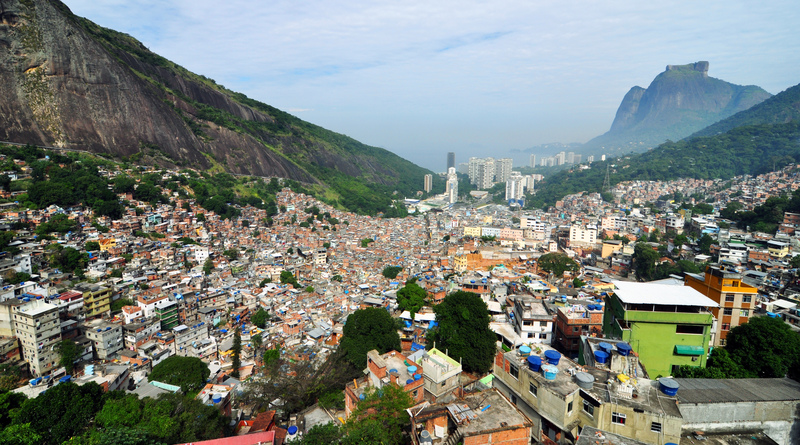 The favela da Rocinha is the largest of South America. Located close to the rich Bairro de São Conrado, it’s a real city in a city that is constituted here. Tours are organized to visit it, however if you meet an inhabitant, ask him to make a you visit his place (and then thank him with a small tip). A tour will show you the favela and its inhabitants at the deepest and will explain to you its principles of operation. I recommend a whole afternoon, then eat in the evening and hang out a bit at night and share all these moments with your host and his lads. You will see armed men but do not fear and appreciate this intense moment that I would put in a TOP 10 of the country or the continent, seriously ! Note that I speak of my own experience in this favela, but you can feel an equally intense experience in a neighboring favela. Only trust who brings you there. 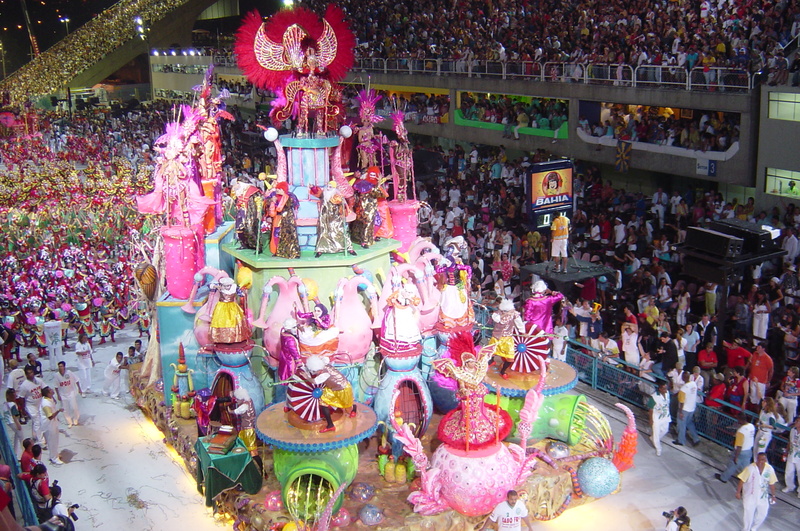 The Carnival of Rio is an event to be experienced at least once in your life and I therefore recommend to overlap your stay before or after the madness of the Carnival. Buy your ticket to see the parades of the different schools at the Sambodrome, or just stroll around the city and celebrate with a costume (or not!). 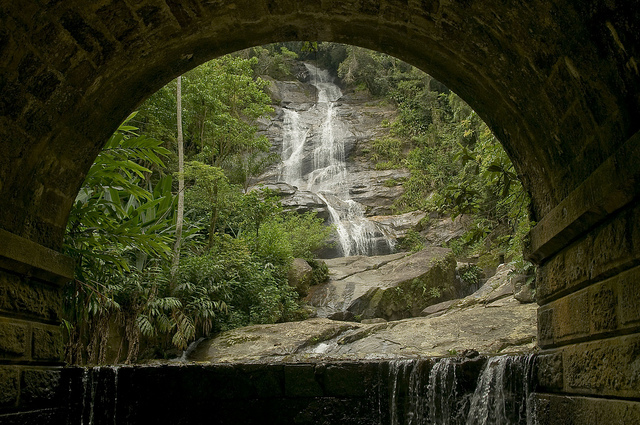 Tijuca National Park, located 20km from Rio, is an immense natural park in which one already feels like being in a tropical jungle. Go on a tour if you want to go a little further in for more discoveries. 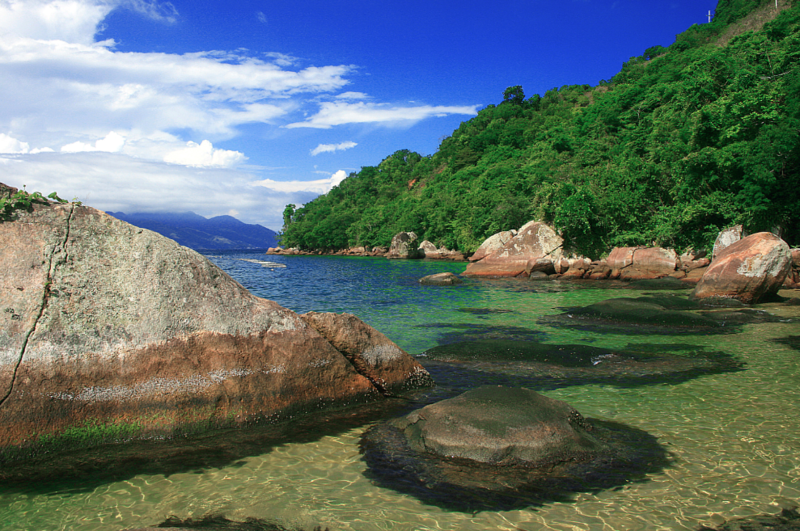 Ilha Grande is another paradise on earth, situated 150 km from Rio, where many activities are offered such as the climb of the pico do Papagaio (peak of the parrot), the Lopez Mendes beach (one of the best in the world) or diving the lagoa azul. A dream, I’m telling you ! Rio does not leave marble. One finds the worst and the best and this paradox makes this city a unique destination. 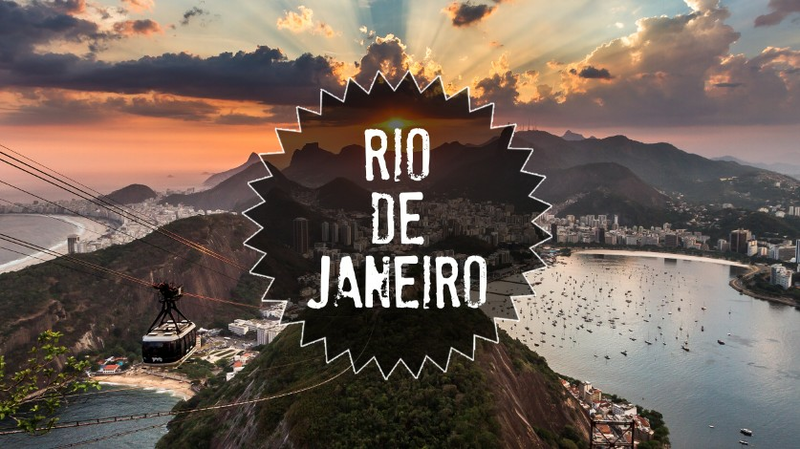 Rio will exude you in no time and you will quickly feel this "saudade" coming when you’ll leave this wonderful city. Take advantage of every moment, go lightly but surely, little bars, street corners where a little bossa nova or a baile funk is played, getting in touch with the locals that will offer you their time.